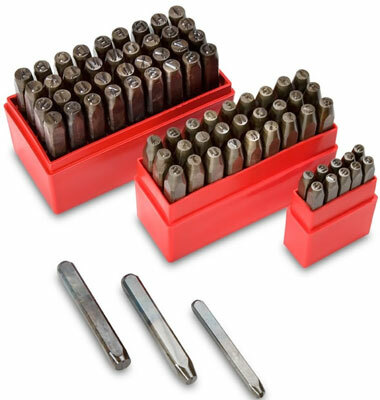 Made with the Best Quality "Highspeed Steel" for Hand & Machine Stamping. Our quality M-2 Highspeed Steel Stamps will last 2 to 3 times longer than regular steel stamps, helping you avoid production delays and saving you both time and money. Guaranteed better than anything you have used before! Steel stamps are used in many industries for marking or embossing part numbers, dates, serial numbers, etc. We use high quality steel for our stamps, ensuring a long life cycle which means less down time for your production.